Want to share your math with others for free? And not just a static picture. You can use PDFs or images for that. But real sharing, with computations you may interact with, and recompute with, and graphs you can change, spin, and interact with. Put the live in LiveMath. LiveMath Viewer can change existing input equations, values, functions, etc. 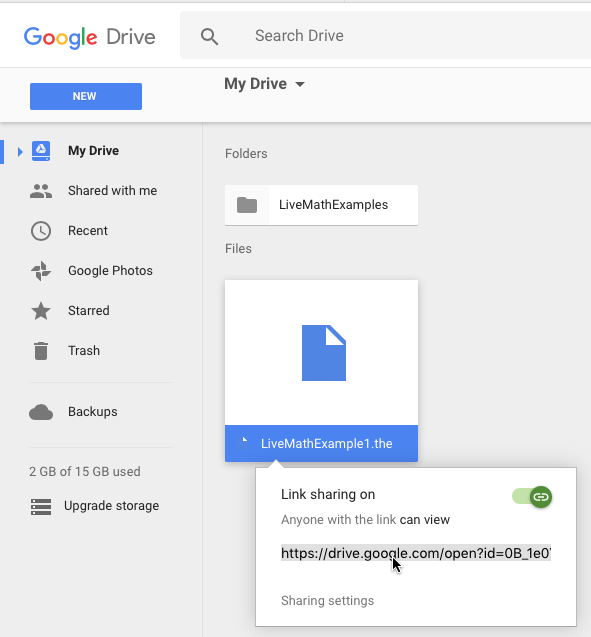 Any LiveMath file that you make with LiveMath Maker, you may share that file for free to LiveMath Viewer. You may set up very simple, single-minded notebooks to feed to LiveMath Viewer, that gives your audience quite a lot of computational power ... for free! You may also password-protect notebooks, with locked collapsars, that LiveMath Viewer (and LiveMath Maker) may open, but not copy/paste (even with LiveMath Maker). 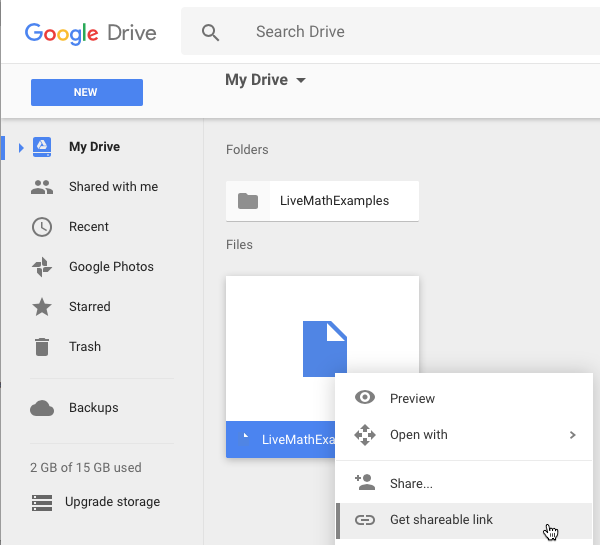 Below is a video walkthrough of teaching your web browser to open LiveMath .the and .thp files, as well as uploading a LiveMath notebook to Google Drive, and accessing that file from a webpage. Get a Google Account. You probably already have one. Everyone does. If not, go to Google Accounts and click on Add Account. 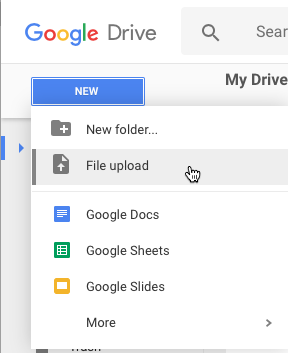 Your Web browser will now ask you to teach it which application you should use to open up these ".the" files. Select the Application file and click Open. Click OK and voila! 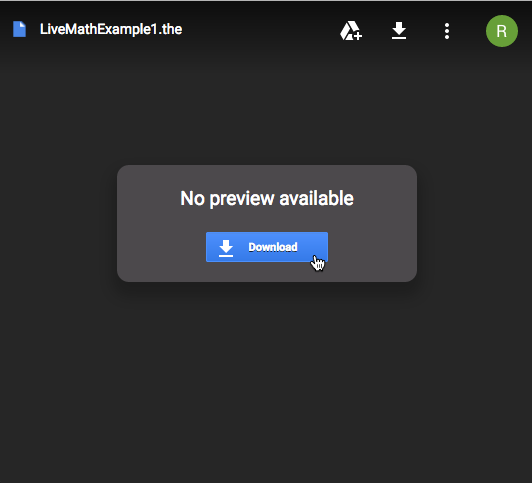 The LiveMath notebook will get launched into LiveMath Viewer! 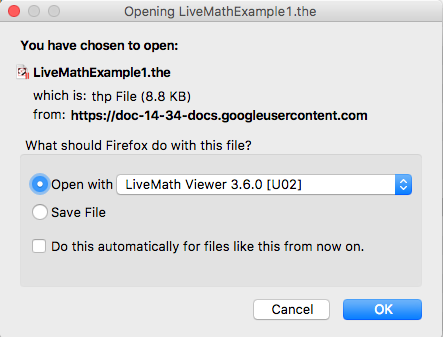 You do not have to repeat all of these steps each time you open up a LiveMath Viewer file. 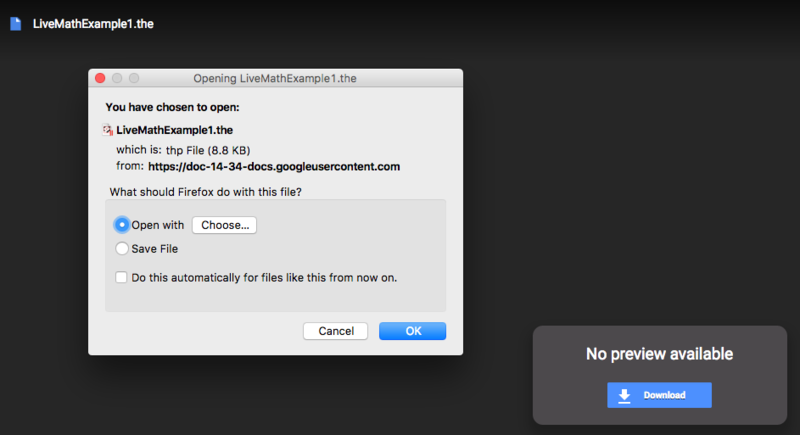 Once you teach your browser to open up 1 such LiveMath file, it will remember and do the same for all future encounters. Way back in 1994, one of the very first, and of a very very few, plugins for Netscape was the Theorist Plug-in - a way to embed a Theorist notebook inside of a webpage. Wow, that was cool. 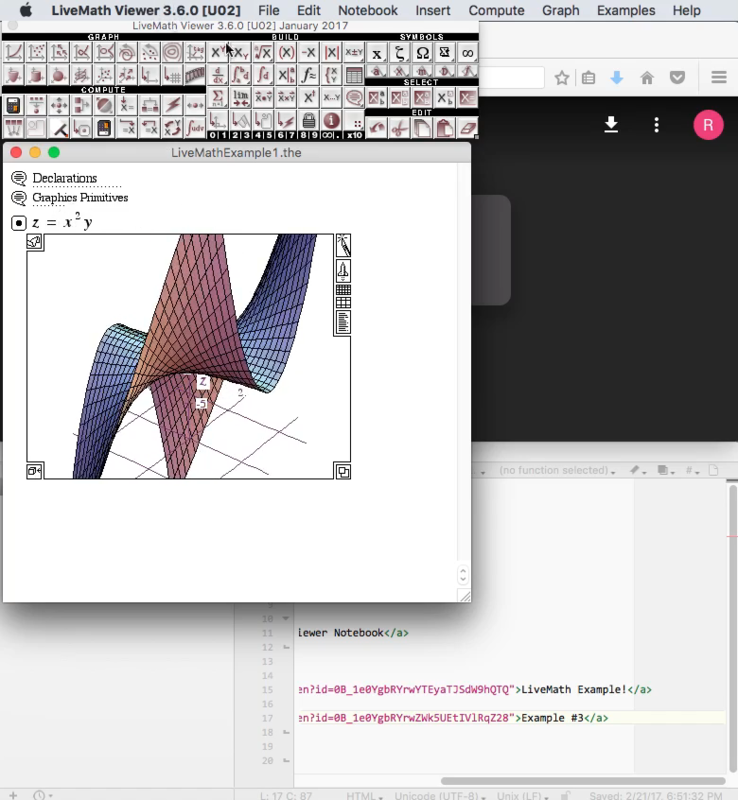 You could make a notebook with some calculations and a spinning graph, save it, and then have it live inside of a webpage via the Theorist Plug-In. 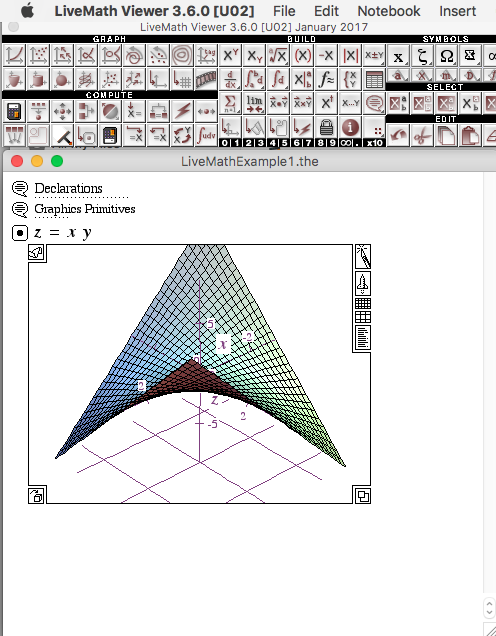 As Theorist morphed into MathView that morphed in LiveMath, so, too, did the Plug-In, into LiveMath Plug-In for Netscape/Mozilla/Firefox, and then into LiveMath ActiveX control for Internet Explorer. Fast-forward 20 years, and plug-ins are (nearly) dead. 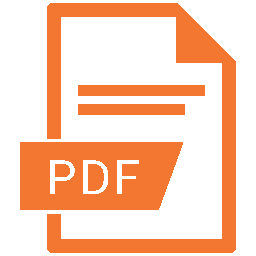 If you are sick and tired of Flash not working, and you have to update Flash or Java on a near daily basis, you know the problem with plug-ins: they just don't work any more, they are continually blocked for security problems, and continual updates are required. So LiveMath Plug-In had a good, long life. But in 2014, we had to pull the plug. 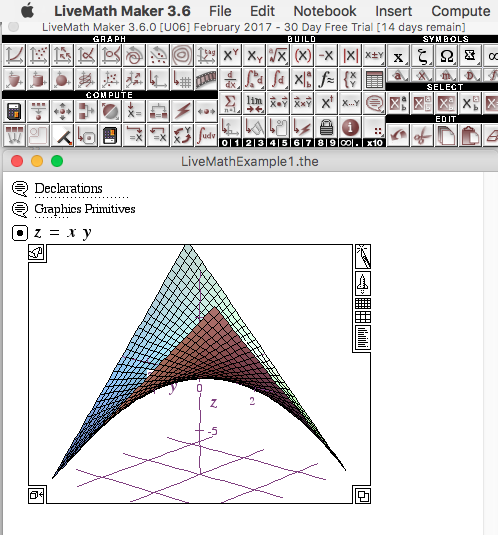 The same functionality of LiveMath Plug-In is now found in a stand-alone application called LiveMath Viewer.